Make Sure Your Fitness Program is Effective For YOU! 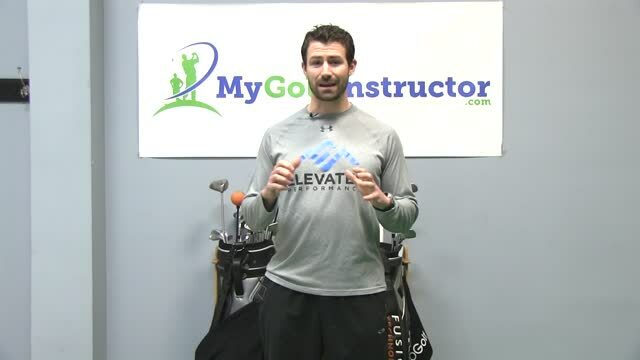 Ask 10 different trainers to design the perfect golf fitness program for you and you will likely get 10 programs that look completely different. This is not a bad thing. It just means that there are many different avenues to reach your goals and there are enough exercises and workout routines for you to never get bored in the gym. The tricky part lies in the quality of the program's design and whether the workouts really meet your needs. There are literally thousands of exercises that we as coaches use to prepare our athletes/clients. There is not necessarily any right or wrong exercise or program. The bigger question is, does your program contain the right components for you at your current fitness level. Does it account for your strengths and weaknesses and is it going to produce results. If you simply rely on the newest routine that you read in the latest health and fitness or golf magazine, odds are it may not be the right one for you. For this reason, I am going to give you a few of the key ingredients to creating, or at least analyzing, your current routine which will assist in making your next one better. Balance: This refers not just to how well you can maintain your balance on 1 or both feet, this is in respect to how your body performs overall. For example, if your left arm is much weaker than your right arm, that is a problem. If you can do 100 push ups, but can't do a pull up, there is a issue there that needs to be fixed. Our bodies crave balance. We need it in everything we do to perform at our best. That is why EVERY program that we design looks at what weaknesses the individual has and then we incorporate exercises to address them. One of the best ways for you to do this in your program is to be sure that whatever you are working on that day (eg. Legs or Upper Body), that you work both the front and backside of the body as well as the left and right. So if you are doing legs, make sure you have both quadriceps exercises and hamstring exercises, not just one or the other. Another way to look at it would be incorporating both pushing and pulling exercises. Quality: Every exercise must be done well. This means with excellent posture and form. There is no prize for slinging weights that are too heavy if you can't do it with your spine, head, shoulders, etc. in the optimal position. Everything you do should be to ingrain a better movement pattern and teach your body how to not cheat a movement. This is especially important for golfers given how technical the swing is and how a slight change in posture can affect the swing. Quality also includes the tempo at which you perform the exercise. Some exercises are meant to be done fast and explosively, but many should be done very slowly to maximize the benefits for your muscles. A general rule that I encourage you to start using is to lower the weights slowly (and when I say slowly, I'm talking a true 3 count) and then try to explode through the motion when you are actually moving the weight. Progress: This is the key to getting better. Every workout should be done with the intention of being a little better/stronger than the last one. It doesn't so much matter how much stronger you are, just that you got a little better than you were last week. That's how you know you are improving. In order to do this, that means you have to know where you are and what you did last week. So keep records of your workouts. Make a spreadsheet or just get an old notebook, either way, WRITE DOWN the exercises that you did, how much weight you did and how many times you did it. Otherwise you will forget what you did, you'll grab the same weight as last week and you'll never get better or stronger. Consistency: This isn't a quick fix. I'm sure you know that already. Anything worth doing takes hard work and lots of it. Staying consistent with your workouts takes dedication, but creates results. It must also be said that having a program that you follow is also imperative. Too often I see people doing different exercises every time they are in the gym because they want to "keep it interesting." While I understand that variety is good, if you don't stick with the same program for a little while, how do you know If you are getting stronger? How is your body supposed to really improve on a movement or exercise if you only do it once every couple of months? To truly see progress, I recommend having a written program consisting of 3 or 4 different workouts (depending on how many days a week you are training). Repeat these workouts at least 4-6 times over a 4-6 week period and watch how much you progress as you challenge yourself a little more every time. Change: Along with consistency, your program also needs some variety. Contrary to popular belief, these two go hand in hand. After completing a 4-6 week program, the next step is to completely change it up. Our bodies get bored with the same exercises after too long and then you'll strat to see a plateau. But if you mix it up, change the exercises, change the reps, etc. you will again start challenging your body and it will respond by getting stronger, more flexible, and better balanced. I also recommend utilizing completely different exercises. We all have our favorites and the ones we hate. My suggestion is always throw in a couple of the ones you hate. You most likely hate them because you are no good at them! Once you do it for 4-6 weeks straight though, you might change your mind, and I guarantee you'll be stronger in ways you haven't been before. In conclusion, there is no secret recipe or magical exercises that are going to get you in perfect shape. It all boils down to hard work and persistence. But by following these simple rules, your workouts can be much more efficient, safe, and are guaranteed to produce more results. You have no idea where to begin and you seriously need to get in better shape for your golf game. Seek out a qualified medical or fitness professional in your area. Get an evaluation and have them design a program for you that you can either do under their supervision (this is preferable for the beginner) or for you to at least take to your own gym and do on your own. Be sure the program they design accounts for all 5 of the qualities mentioned in this article! You have been working out for years, but are not seeing the results that you want. Always start with your weaker side when doing a unilateral exercises. For every chest exercise do a back exercise (eg. Bench press, Pull Up). For every quadriceps exercise do a hamstring/glute exercise. Or even simpler, for every push exercise, do a pull exercise. Watch yourself in the mirror. Every exercise should have perfect posture. Start with a lighter weight than you think you can do, but do it PERFECTLY! Slow down your tempo. Lower the weight in 3 seconds and lift it in 1 second. Keep a written log of your workouts. Try to increase the weight or number of reps every week depending on your goal. Get a partner to hold each other accountable. Schedule your workouts a week ahead of time. Have a written program that you can follow for 4-6 weeks, DON"T just wing it! Switch up your program every 4-6 weeks. Have someone else design your program so you don't just put in your favorite exercises. Switch up the number of reps and sets. (eg. Try 5 sets of 4-6 reps instead of 3 sets of 10).